I went down to the 24 Hours race in Catalunya to provide mainly IT support to Saxon Motorsport. The 24H Series seems to be supported by a very friendly group of teams and competitors with vehicles of many categories from full GT Audi R8s to Renault Clio's. 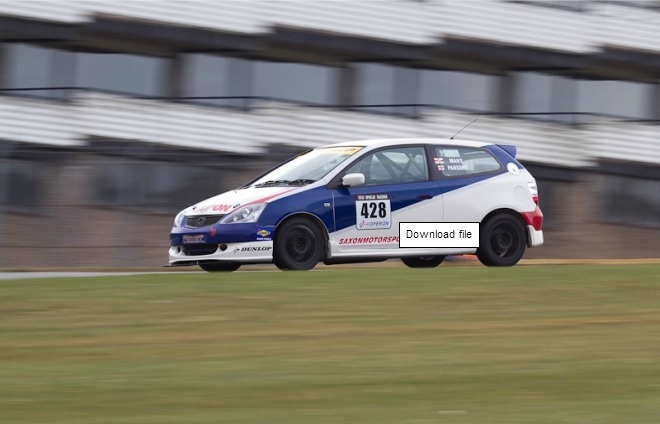 Saxon Motorsport run their 2006 Honda Civic Type R, which appears to be an extraordinary racecar compared with the machinery I've been accustomed to. Most endurance race engines need rebuilding after about 35hrs or after a 24hr race weekend. The Honda I4 2L K20a seems to be happy running over a 100hrs without any major works. This is achieved while producing way over 100bhp/L, though Saxon Motorsport have enhanced this life by not producing the absolute maximum power achievable from the K20a engine. The most challenging aspect of the weekend was dealing with the Dunlop's Spanish Tyre Distributor; who shall remain nameless. The owner was obstructive, belligerent and appeared not to be trusted and even the local Catalonian teams were frustrated. The financial transactions were painful unless it involved cash. This company did nothing to enhance Dunlop's reputation as the UK Dunlop team, at the track, were only too aware. All but one of the 4 drivers had driven the Honda before, but none had been around the Circuit de Catalunya. I ended up recording the lap times for nearly the whole of 22hrs before collapsing! Subsequently, I produced reports on how the team had performed on the track and how the car worked in respect to its class (A2) competitors. The drivers impressions after the race was they and the car had been outclassed by their competition, however the analysis was able to show that not only had they been competitive but for bad luck they would have challenged all but the ms-classed and highly professional BMW Mini Turbo's. I also considered the advantage or otherwise of running a considerably more powerful car and noted the significant additional outlay in running costs to run such a vehicle. The Honda came 12th in Class but the analysis suggests that 3rd would have been achievable. 40 laps is under a hour and we lost more than that in non-racing time. The relative power to weight ratio of the Mini's made them pretty unassailable especially in the 1st sector, demonstrating that they were ms-classed, or the car to have in A2; depending on your viewpoint. The Honda was found to have defective front dampers. These had been rebuilt by the suppliers as part of the pre-race refresh. It became apparent during practice and qualification on Friday that the front end of the car was significantly under-damped. It was discovered that the newly refurbished AST dampers were not holding gas pressure. They were pumped up from 7bar to 11bar using a pump from our garage partners (Ivan @Driving Evolution) but this soon leaked away. There was an unscheduled stop on lap 57 to try and pump them up again, that absorbed about 10 minutes or 6 laps. 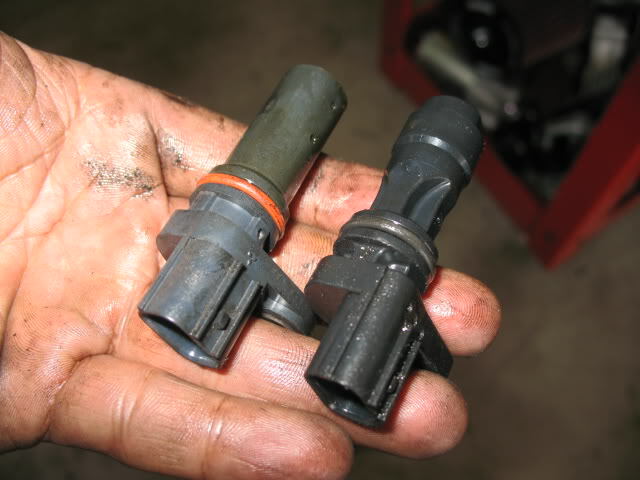 Apart from having spare dampers there is not much that can be done to prepare for this. The damping was ineffective and the car was bouncing around and analysis suggests that time would have been gained in the technical Sectors 2 & 3, that would have brought all the Renault Clio's into play. The drivers would have also felt significantly more comfortable and the front tyres would have had more grip with proper damping and thus be able to push the car harder. The lead Renault's #37 times were only significantly better than the Honda's in these sectors. On lap 238 the lighting failed. This was diagnosed as a faulty relay that was by-passed, but this lost another 15 minutes or 8 laps. Consideration might be made to splitting the lights into multiple relayed/fused/switched circuits reducing the risk of losing all the lights. From about lap 295 the engine to be misfiring at high RPM and the drivers had to "short shift" to avoid the problem. On lap 364, the problem became too serious to continue and pitted. This may have been worth at least 1s/lap for these 70 laps in addition to the 55 minutes it took to resolve what turned out to be a faulty Crankshaft sensor. One of the Lotus teams was running a Honda engined car and were able to provide a spare sensor. This was our most significant outage of the race of nearly 60mins or 50 laps. It was also noted that in order to attach the laptop to the ECU it was necessary to remove the passenger side dashboard panel. It might be worth having a pre installed cable from the ECU to a convenient location to negate the need to detach the panel. Based upon the Lotus's teams stash of sensors this may be a ‘common’ fault. Even though these are expensive (c£100); several should be in the spares box. Towards the end of the race the brakes were seriously degraded. This is to be expected especially on a relatively short high braking circuit. For example, it is not unusual to change disks on a BMW M3 Grp N after 12 hrs at Nürburgring. After about 18hrs of running and even allowing for the cooling effect on the brakes after a Code 60, lap times dropped into the 2’18 – 20s. Allowing for 3s a lap, a 24 lap stint on poor brakes cost 72s or 2/3rds of a lap. The decision was taken to change them on the next change and a used set of pads were installed for the last 2hr stint. Who reported that the brake pedal needed pumping after the change but kept going all be it at a reduced rate. Again it looks as if his 50 laps were costing about 3s or 150s. Combined, this is 220 seconds or 1.5 laps. This is countered by the cost of the pit stop to change pads. The reasons for the long pedal were not established established. Also alternative brake pads may be an option (the current pads have lasted in 24hrs before, but not perhaps at such a heavy braking circuit and with such high track temperatures). Alternatively a front pad and disc change should be factored in for the 18 hour mark. It may also be worth noting that the initial brake pads hadn't been bedded in as there wasn't a warm up period before the race. It may be worth considering taking several sets of pads that have be previously bedded in at a track day, or use the practice days to do the same. In the hot conditions is also a concern, especially since the side windows have been replaced with polycarbonate and the door windows are no longer retractable. The side windows have NACA style extractor ducts and the doors windows have a sliding panel. However in the conditions of Saturday afternoon it clearly was not enough. Options include improving/re-establishing the standard vehicle ventilation system, larger door window vents and installing a roof vent. Air Conditioning was also considered but this would add weight, complicate engine repairs and cost. The car could run for just under 2hrs based upon fuel but in the heat of the Saturday afternoon we should have run 1hr driver stints. This would have reduced the heat exhaustion of the drivers particularly between 1300 and 1600. Code 60 is a regime whereby all the cars as supposed to run at 60kph during a course wide "Yellow Flag". The speed is monitored by lap time and the target was about 4m 39s. Most Code 60s lasted 1 lap but the longest was 5. Some of the teams pushed the Code 60 to the extent that they would run under 4m laps; gaining over 30s a lap on some competitors. The drive through penalty was worth 18s if summoned. The car was consuming about 1.3L/lap giving it a target range of about 60 laps. Inadvertently it was discovered that the fuel tank would take over 86L of fuel! The Honda ran from 1545hrs/Lap 88 to 1830hrs/Lap150, or 63 laps at an average speed of 103kph. The 4 laps of Code 60 may have helped! Generally it was not considered good to drain the tank as it increases the risk of sediment contamination in the lines and filters, from the circuit fuel tanks. The regulations permit a 100L tank and though that would increase the refueling time by 30% it would increase the range to 75 laps or 2hrs 45min on this track. The tyres were Dunlop 235/610R17 C68 720 slicks and 235/610R17 C900 497 wets that were not needed. The 720 is the hardest of the Dunlop slick compounds (Soft 674/947 and Medium 392). During the race a driver and front tyres only change could be completed in 2¾ minutes and 3½ minutes (official timing) with a refueling stop and all tyres. Our own timing including the in lap suggested 4½ mins and about 7 mins respectively. Looking at some of the competition pit stop times it would suggest they were not changing tyres as often as we were, especially in the early stages, or they were using wheel centre locks. The front tyres may have been able to handle 2 hours during the heat of Saturday and double that at night. However, the detritus and sharp gravel scattered over the track probably made it sensible to swap them over regularly to check them. Compared to the competition the Honda was down on power and didn't have features like sequential gearboxes, but endurance racing is about finishing and that is about consistency. The top cars in Class A2 were able to run in the 2’10s and could drop in to the 2’08s but would use more fuel and tyres. A larger fuel tank if at all possible might allow for 2 long stints, or 3 shorter ones. An 100L tank would give a range of 75 laps, or about 2hrs 50 mins, especially in cooler conditions. We shared a pit garage with Ivan Cano and team managing the "Driving Evolution" Seat Leon Supercopa, who were kept very busy with what looked like a Sprint car. Jean-Louis Dauger, of Renault and World Touring Car fame, was one of their drivers. I look forward to going back to Catalunya with with the Honda. One day might even get to drive it! Must remember, for the Sunday after the race; all the shops are shut so stock up with provisions (beer) before hand.